Issue 2: What, Who, and Why? What does Issue 2 propose? The resolution does not define “livestock,” so it is unclear whether dogs raised on large-scale intensive breeding facilities–known by detractors as “puppy mills”–would be affected by this legislation. 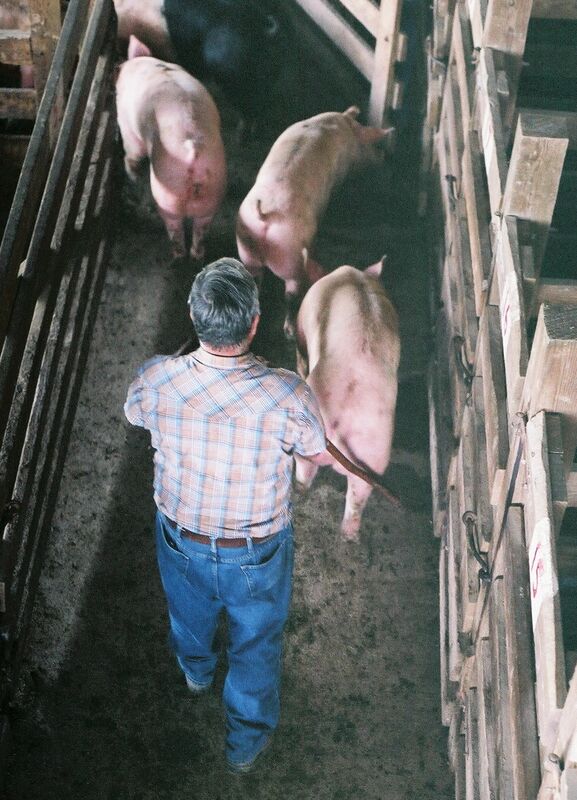 A White's Livestock Auction employee moves pigs into a waiting pen, in Brookville, IN. Why has Issue 2 been proposed? Issue 2’s proponents have been clear about their motive: to prevent animal welfare reforms backed by the Humane Society of the United States. An HSUS-supported referendum passed this year in California, which requires that all caged farm animals be given enough room to stretch their wings and legs, and turn around in a circle. While small farms often meet this requirement, the large, industrialized indoor farms that provide most of America’s meat and eggs, often do not.